Manchester United midfielder Marouane Fellaini will be out of contract at the end of the month, with no agreement over a new deal at Old Trafford on the horizon. According to French TV show Foot 365, Arsenal have schedule a meeting with the Belgium international's representatives to try and thrash out a deal. Five weeks ago, United boss Jose Mourinho said a deal for the player was close -- but Fellaini did not put pen to paper and was free to talk to other English clubs as of last Friday. He has been linked with Paris Saint-Germain, but now it seems Arsenal -- managed by former PSG coach Unai Emery -- could have moved to the front of the queue. 23.00 BST: That will do it for tonight's edition of Transfer Talk LIVE. Remember to check back in a few hours as we report the latest rumours, links and done deals from around the world of football. Goodnight! 22.50 BST: Man City are still hoping to land Riyad Mahrez from Leicester City but to do so they may need to say goodbye to talented youngster Patrick Roberts. The two sides had been at an impasse on Mahrez since January but are starting to make some headway with Mahrez ultimately expected to finally get his move to the Etihad. Leicester are remaining firm though and are again reportedly asking for £60 million plus Roberts for the Algerian. The 21-year-old Roberts is one of England's bright young talents and played much of the last two seasons on loan at Celtic after moving from Fulham to City for £11m in 2015. Could the addition of Roberts sweeten the pie enough for Leicester to finally say Mahrez? One thing is for the sure the Foxes will not be outfoxed! -- DONE DEAL -- First the club announced they had sold star striker Nico Castillo to Portuguese side Benfica. -- DONE DEAL -- The club added Paraguayan international Juan Iturbe -- who had been on loan at Tijuana from Roma -- and Argentine Victor Malcorra from Tijuana, sending former Houston Dynamo star Erick "Cubo" Torres and Luis Fuentes the other way. -- DONE DEAL -- Finally, Pumas signed Paraguayan striker Carlos Gonzalez, who scored 13 goals in 2017-18, from Necaxa. No case of the Mondays at Pumas apparently. 22.07 BST: Swiss star Xherdan Shaqiri will be a name to watch during the World Cup. Having been relegated with Stoke City, Shaqiri is as good as gone from the bet365 Stadium but don't be surprised if he chooses to stay in England. Watch out for Mark Hughes and Southampton, as Hughes signed Shaqiri when at Stoke and is reportedly a real admirer of the diminutive playmaker. The latest team rumoured is Tottenham. With Shaqiri still just 26 and with only a £12 million buyout clause, the Swiss could be a real Premier League bargain buy. Shaqiri scored eight goals and assisted seven others, playing a part in 43 percent of the Potters' tallies last season. 21.42 BST: Man City are another club not content standing pat, with Pep Guardiola and Co. close on deals for Napoli's Jorginho and Leicester City's Riyad Mahrez. The latest name linked to the Etihad is Amiens youngster Tanguy Ndombele. The 21-year-old impressed last season on loan at Lyon and via Paris United has become a target of the Sky Blues as well as Spurs. Ndombele is a holding midfielder who reports say could grow into Guardiola's long-term successor to the 33-year-old Fernandinho. 21.20 BST: With two major signings done in Naby Keita and Fabinho, Liverpool have identified a third target this summer. 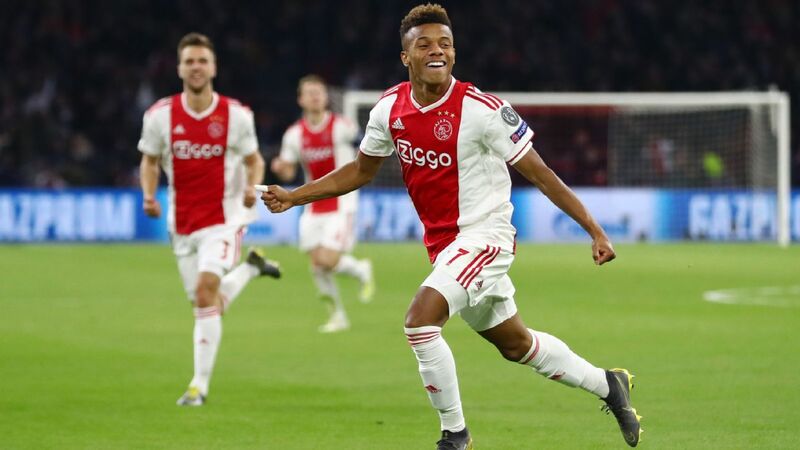 According to various British sources, the Reds have scouted PSV's Steven Bergwijn and alongside Arsenal and Tottenham are expected to compete to sign the 20-year-old winger. The dynamic winger had eight goals and 11 assists last campaign for the Dutch champions and has been valued at between £20 and 25 million. 20.50 BST: With his contract set to run out in less than a month, Fulham full-back Ryan Fredericks looks set to move across London to West Ham. 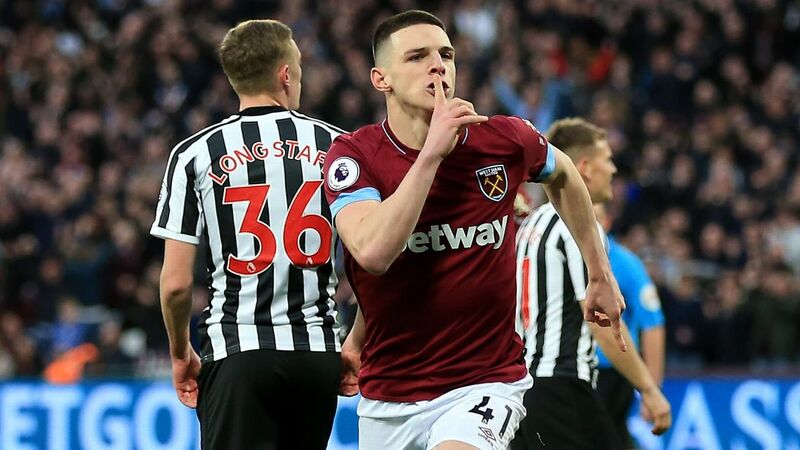 The 25-year-old was named to the PFA's Championship Team of the Year this past season but according to the Mirror, the player now looks set to leave newly-promoted Fulham in favour of the London Stadium. Fredericks had previously expressed his desire to stay at Fulham but so far the two sides have been unable to come to terms on a new contract to keep him at Craven Cottage. 20.22 BST: Manchester United continue to move closer to their first signing of the summer with Sky Sports providing an update on Porto's Diogo Dalot. 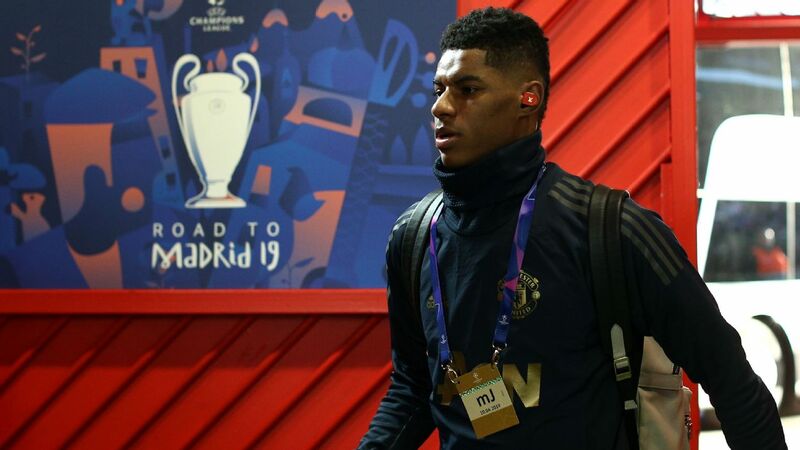 The 19-year-old full-back has emerged as a target for the Red Devils in recent weeks and it looks like this one is close to getting over the line. 20.05 BST: What's next for USMNT youngster Julian Green? Stuttgart sporting executive Michael Reschke is hopeful that Green will stay at 2. Bundesliga side Greuther Furth. "I'd like to think that we can find a very good solution for all involved," Reschke said. "And that Julian will stay at Furth." Green, who turns 23 this week, has had a rough go of it on loan since scoring at the 2014 World Cup but did score a key goal on the final day of the season to help secure Greuther Furth's 2. Bundesliga safety. 19.39 BST: Led by a Portuguese manager and seven current Portuguese players, newly-promoted Wolverhampton Wanderers are sure to be the most Portuguese team in the Premier League season. In fact, Wolves are being linked with another Portuguese player: AC Milan and Portugal striker Andre Silva. Italian outlet Calciomercato.com claim that super agent Jorge Mendes is working to get Silva an exit from the San Siro with Wolves hotly tipped. The 22-year-old striker had a nightmare first season Italy, scoring just two league goals in 24 games after moving to Milan from FC Porto for €38 million. Mendes, who represents Cristiano Ronaldo, and has well-documented business interests with Wolves could be looking to facilitate another move and add to the growing list of clients he has at the Molineux. 18.58 BST: With West Brom also failing to avoid the drop, there figures to be suitors for hard-nosed midfielder Jake Livermore. If Birmingham Live is to be believed, Crystal Palace are one club who could move for the England midfielder, with Eagles boss Roy Hodgson a fan of the player from his days with the national team. Palace are rumoured to have offered £10 million for the 28-year-old but the Baggies are reportedly looking for something in the region of £15m in order to sell. 18.33 BST: It looks as if we will soon have a manager appointment to announce. Recently relegated Swansea City have confirmed they have agreed to terms with Ostersunds boss Graham Potter. We can confirm a compensation package has been finalised with @ofk_1996 for the services of Graham Potter. 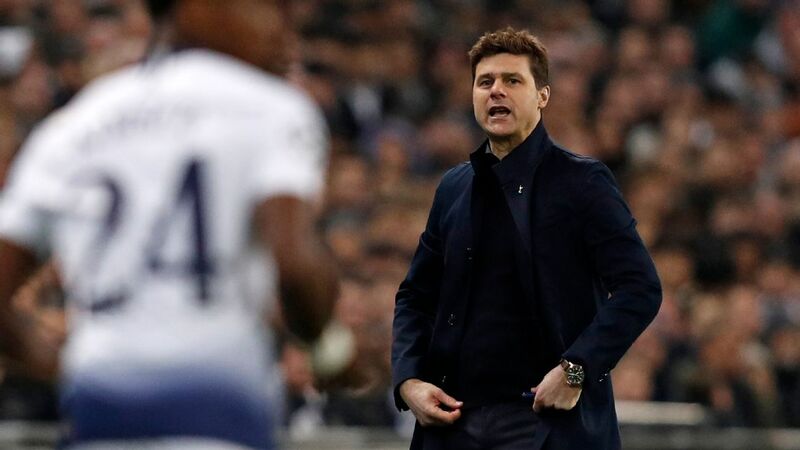 The English-born manager led the Swedish club to three promotions in his seven years at the club, winning the Swedish Cup in 2017 and leading Ostersunds to the Round of 32 of this past season's Europa League. 17.58 BST: Could Hull striker Abel Hernandez be on the move within the Championship? According to Leeds Live, Leeds owner Andrea Radrizzani is in advanced talks with the Uruguayan hitman about a move to Elland Road. Hernandez scored just 8 goals for the Tigers last season but in 2015-16 bagged 20 to finish as the division's third-highest scorer. Newcastle are another side reportedly interested in the striker. 17.37 BST: After lighting up the Championship while on loan at Aston Villa, Robert Snodgrass could find his way back to the Premier League with someone other than parent club West Ham next season. The Scotland international scored seven goals and dished out a Championship-best 14 assists last season and has recently drawn interest from Championship rival and newly-promoted Premier League side Cardiff City. Cardiff will be looking to add Premier League veterans to help ease the step up to the top flight and Snodgrass would fit the mold: the 30-year-old enjoying previous top-flight spells at Norwich, Hull and West Ham. 17.15 BST: Whoa. A huge scoop from France Football. They claim Sadio Mane had a deal in principle to join Real Madrid this summer, but Zinedine Zidane's departure has left a transfer up in the air. 16.25 BST: Not a lot of players can be seen as desirable from Sunderland these days, but Le10 Sport report that Rennes, Lyon, Marseille and Nice all want winger Wahbi Khazri. 16.00 BST: Sticking with Marco Silva, he has refused to rule out signing any players from former club Watford, the Watford Observer reports. 15.00 BST: New Everton boss Marco Silva has admitted Wayne Rooney is in talks with D.C. United over a transfer, but the door would be open to him staying at Goodison Park for the start of his reign. 14.25 BST: Officials from Liverpool met with Roma goalkeeper Alisson before Brazil's friendly with Croatia at Anfield on Sunday, UOL say. 14.15 BST: There's a three-way tug-of-war for Marseille midfielder Morgan Sanson, who is wanted by Arsenal, Chelsea and Tottenham, according to France Football. 13.30 BST: Could it really be? Marouane Fellaini to Arsenal? 13.25 BST: It looks like Steven Gerrard will be raiding Liverpool as he looks to reinforce his Rangers squad. The Daily Record say that winger Ovie Ejaria is set to sign on loan in the next 48 hours, while Gerrard is also keen on bringing Dominic Solanke to Ibrox. 12.10 BST: A deal for Manchester United's Matteo Darmian to join Juventus is being held up by an "Everest" transfer fee demanded by the Red Devils, according to Gazzetta dello Sport. ESPN FC reported on Friday that the fee was yet to be agreed between the sides. 11.45 BST: France Football say that talks are ongoing between Monaco and Huddersfield over the permanent transfer of Terence Kongolo. 11.25 BST: Over on the continent, Marseille have made a €20 million offer for Fiorentina midfielder Jordan Veretout, according to footmercato.net. 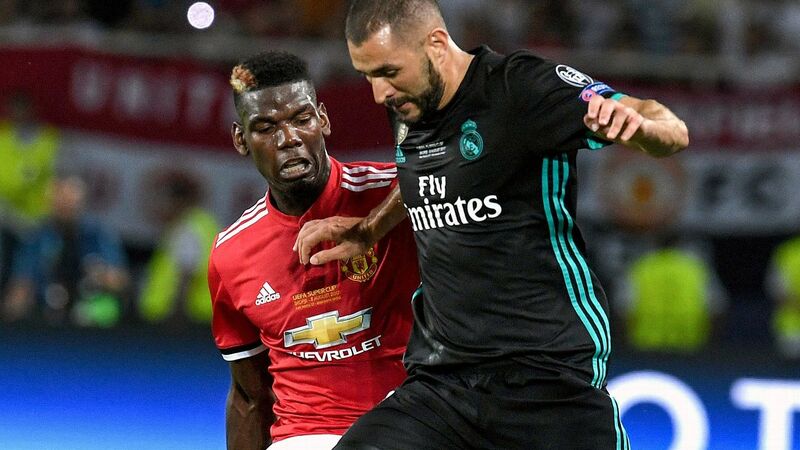 Citing Italian media, the website says the UEFA Europa League runners-up would like to bring the 25-year-old French midfielder back to Ligue 1 after he scored ten goals in 38 Serie A encounters last season. 11.05 BST: Sokratis Papastathopoulos will have his Arsenal medical this week ahead of his transfer from Borussia Dortmund, Kicker say. 10.35 BST: Big news coming from AS, who claim that Antoine Griezmann has told Atletico Madrid he will stay at the club and not move to Barcelona. The report also says that Diego Simeone's side may have to sell goalkeeper Jan Oblak to Liverpool or Arsenal to raise finances, which will then be spent on Monaco's Thomas Lemar. 10.30 BST: Andre Silva could leave AC Milan to join Monaco if Radamel Falcao makes the journey in the opposite direction, RMC reports. Silva, 22, did not impress for the Rossoneri last season, and has also been linked with a move to Huddersfield. 10.20 BST: Time for your Sporting fix. Chaos has ensued at the Portuguese club this past month, leading to club icon Rui Patricio asking for his contract to be terminated last week. The goalkeeper was set for a €18 million move to Wolves before Jorge Mendes and Sporting president Bruno de Carvalho squabbled. According to Record, Wolves were set to pay the transfer in four installments, before Sporting thought they could receive all that money upfront. A clause prohibiting the Midland club from selling to either Porto or Benfica was also in the deal, but now no one is sure whether one will materialise. 10.00 BST: Joao Mario has left the door ajar for a return to West Ham. The Portugal international told Gazzetta dello Sport that it would be "pointless" to return to Inter for preseason training, and cited Manuel Pellegrini's side as a possible destination. 09.35 BST: Sky in Italy are reporting that Emre Can has agreed a four-year deal with Juventus and will have a medical this week to complete his free transfer from Liverpool. 09.33 BST: We may all dream of a team of John O'Shea's but appears to be Reading who are going to land the man himself from Sunderland, according to the Irish Independent. 09.12 BST: Brazil and Shakhtar Donetsk midfielder Fred admitted "I still do not know where I am going" when asked about reports of him heading to Manchester United for a medical, as quoted by the Evening Standard. 08.56 BST: We've already heard from Sergio Ramos and Casemiro on how much they would like to see PSG's Neymar at Real Madrid. Now Luka Modric has smiled and said: "We'll see what happens." It's going to be a long summer. 08.36 BST: Bayern Munich midfielder Renato Sanches could return to Benfica on a one-year loan deal if the clubs can agree terms. Kicker, citing reports in Portugal newspaper A Bola, says Bayern have not given up on Euro 2016's Young Player of the Tournament and believe a return to his homeland could get his career back on track. 08.00 BST: The World Cup may be a mere 10 days away, but that doesn't stop the transfer treadmill! Stick with us throughout the day for the latest developments. Everton goalkeeper Jordan Pickford looks set to be England's No. 1 at the World Cup and, if reports are to believed, Bayern Munich could be watching very closely. The Sun reports that Bayern are concerned about the long-term future of Manuel Neuer, who made his return from an injury-ravaged season in Germany's defeat to Austria on Saturday. Pickford, who joined Everton from Sunderland in a deal worth up to £30 million last summer, has emerged as a top target after a high-profile error from Sven Ulreich, deputising for Neuer, in the Champions League. 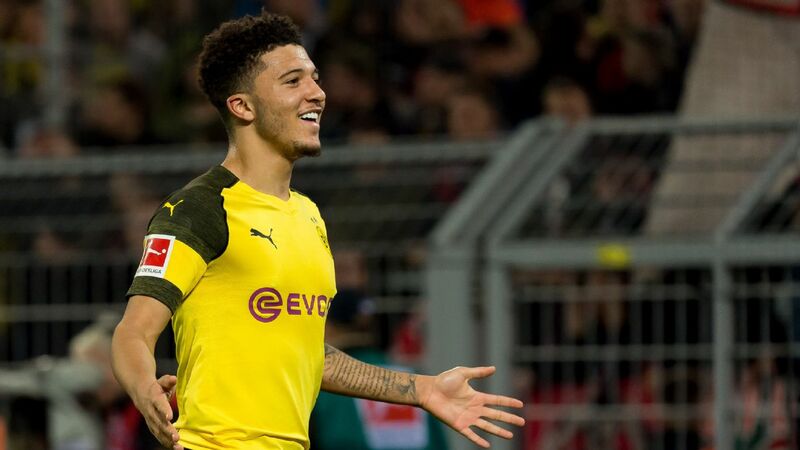 However, Everton would reportedly look to double their money should Bayern come knocking, and it would take an impressive World Cup to tempt the Bundesliga champions into that sort of outlay. Neuer has not played for Bayern since September, but does at least now have his gloves back on for Germany. Excited reports in France may have indicated that Liverpool were on the verge of wrapping up a move for Lyon midfielder Nabil Fekir -- but the Liverpool Echo says there is a little way to go before that happens. Fekir is thought likely to cost the Champions League finalists around £60m, and reports had suggested he and his agent were due to arrive in Liverpool to talk terms. But the Echo says "such a claim is premature, with the club not anticipating any such significant movement this weekend." Liverpool have scouted France international Fekir throughout a season in which he scored 23 goals in all competitions -- form that has also seen him linked with Atletico Madrid and Bayern Munich. However, the Merseysiders are reported to remain hopeful that a deal can be done before the World Cup. Fred could be a Manchester United player by Tuesday, the Manchester Evening News reports. The Shakhtar Donetsk midfielder's representatives have flown to the UK "to put the final touches on a £52m deal," with a medical set to take place soon. 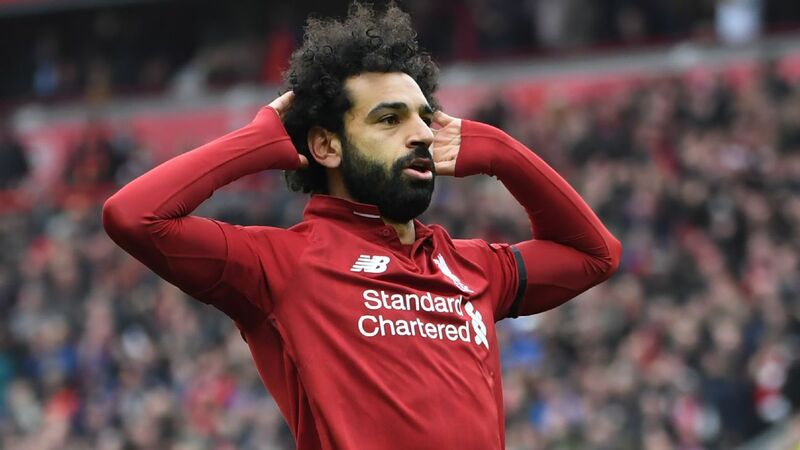 The Evening News reports that talks "are expected to be a formality before the 25-year-old signs a four-year contract with the option of another 12 months." Manager Jose Mourinho wants the Fred deal done quickly -- as does the player's Brazil boss Tite -- as he begins a busy summer of transfer business. 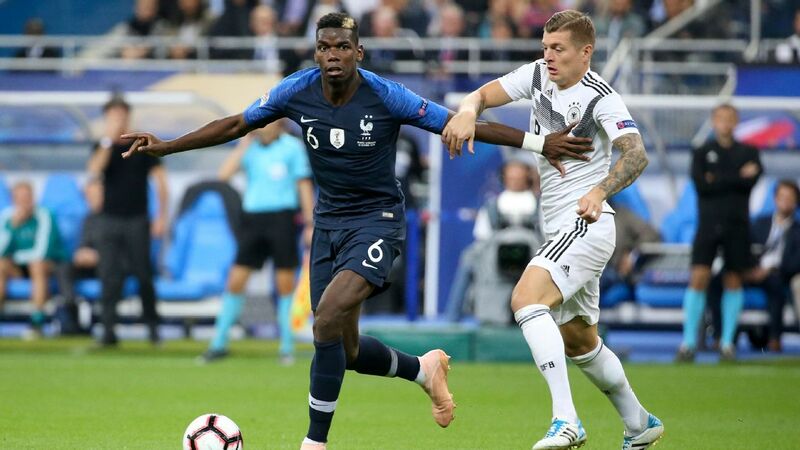 He still intends to add further midfield reinforcements, with Paris Saint-Germain's Marco Verratti and Lazio's Sergej Milinkovic-Savic in the frame, while up to three new defenders are on the way. New Everton boss Marco Silva is wasting little time in planning a revamp of his squad, according to the Sun, which reports that he "is set to take advantage of uncertainty at Newcastle with a £30m bid for defender Jamaal Lascelles." It says Silva sees centre-back Lascelles as "a long-term partner for Michael Keane, with Ashley Williams and Phil Jagielka getting towards the end of their careers." And with the Newcastle future of manager Rafa Benitez still unclear, the Sun adds that Lascelles "is among the players who may look at their future." Liverpool have also tracked the 24-year-old, praised by Benitez for a succession of high-quality performances last season. Meanwhile, Sky Sports reports that Turkish club Besiktas are interested in Everton midfielder Davy Klaassen, who has struggled to break through since moving to Goodison Park last summer. It says Besiktas could try to sign Klaassen, who rejected a short-term move to Napoli in the winter, on an initial loan deal. -- Newcastle are among the early favourites to sign striker Abel Hernandez after he confirmed that he will leave Hull when his contract runs out in the summer. The Chronicle reports that Uruguay international Hernandez is among the targets on a Newcastle list of up to 50 potential attacking reinforcements. -- Striker Benik Afobe may have joined Wolves only a couple of days ago -- but he could be on his way to Stoke, according to the Sun. 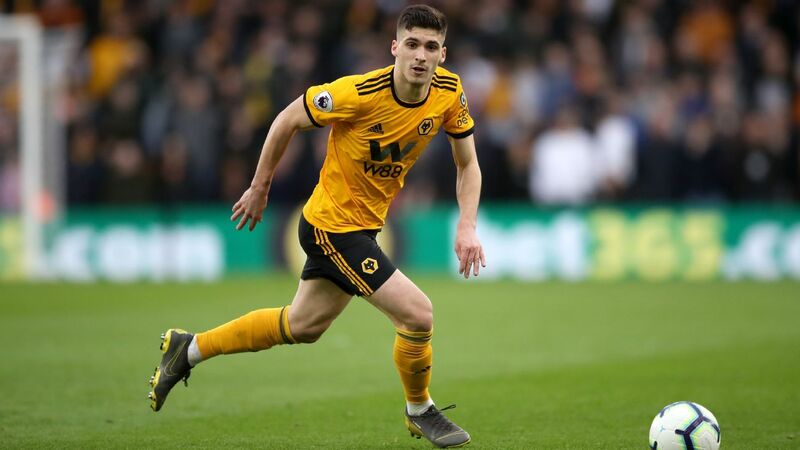 It says Wolves, who paid £12.5m to make last season's loan deal from Bournemouth permanent, "are weighing up whether to sell for him for a profit immediately."